You could win a romantic two night stay with a three course dinner with wine on one night in your choice of any of the 5 Só Hotel locations. and most recently, The Athlone Springs Hotel in Westmeath. 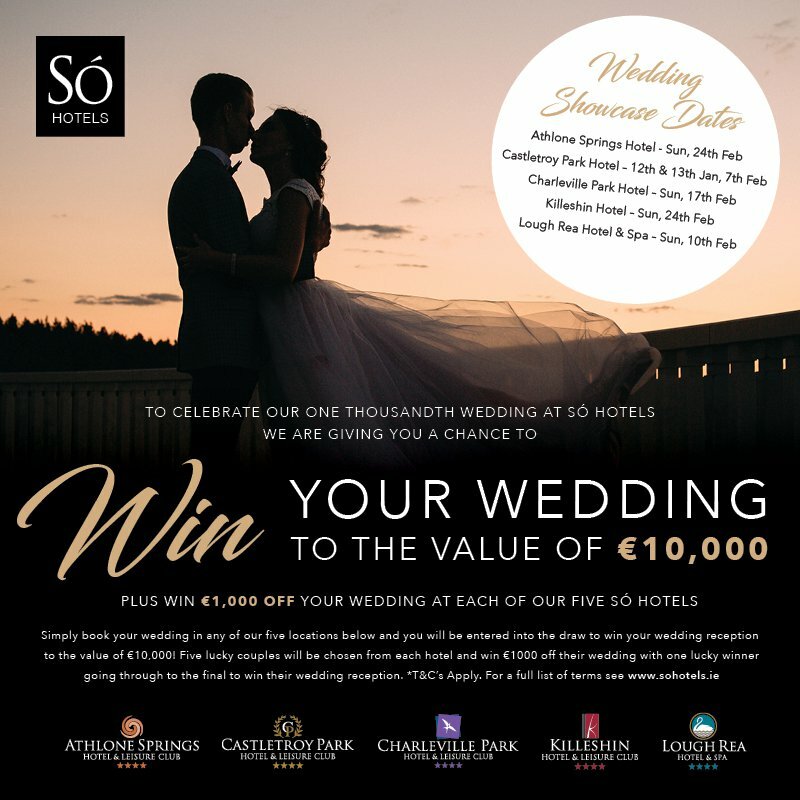 To celebrate the Só Hotels one thousandth wedding they are giving engaged couples a chance to win their wedding worth €10,000. Guests are invited to any of the Só Hotels wedding fairs where they will be entered into the competition to win when they book in any of the five hotel locations.